This is a change for us we know, but adidas Originals has teamed with the UNITED ARROWS BEAUTY & YOUTH brand to create this track ‘suit’. 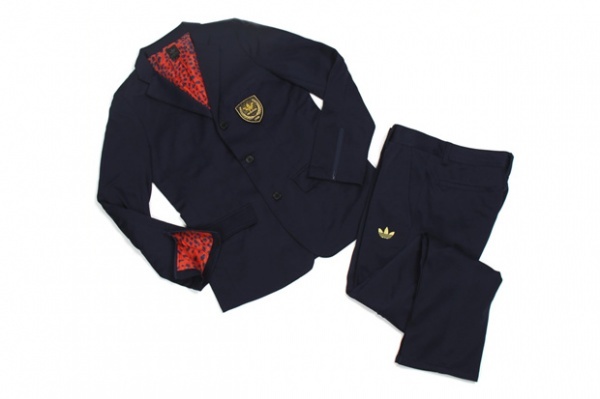 Not the kind of suit you’d see on Run-D.M.C., this suit features proper lapels, red leopard lining and zip sleeves. A unique twist on a classic, it’s definitely an interesting bit of design work from both parties. This entry was posted in News, Suits and tagged ARROWS, BEAUTY, Suit, UNITED, YOUTH. Bookmark the permalink.